Qiagen said today it plans to advance penetration of its next-generation sequencing solution in China through a joint venture it has formed with Chinese in vitro diagnostics developer Maccura Biotechnology. The value and other financial terms were not disclosed for the joint venture, which aims to develop, commercialize, and accelerate local adaptations of Qiagen’s GeneReader NGS System in China’s fast-growing clinical and clinical research markets. He projected that GeneReader NGS solution could deliver significant benefits for more than 6,500 current and prospective customers, particularly in networks of China’s largest or “class III” hospitals. GeneReader NGS System applies integrated bioinformatics for analysis and interpretation of NGS data, as well as a family of gene panels under the GeneRead QIAact brand to enable laboratories to identify gene variations linked to cancers and to deliver actionable molecular insights. The system’s capabilities also include high-sensitivity detection in liquid biopsy samples, compatibility with the QIAsymphony automation platform for high-throughput sample processing, and software integration with leading Laboratory Information Management Systems (LIMS). Qiagen and Maccura cited the exponential growth of NGS in China as the technology moves into clinical trials to develop diagnostic applications. The government of China has sought to stoke that growth; last year it launched the 15-year, $9.2 billion China Precision Medicine Initiative, an initiative to apply genomic insights, with extensive use of NGS, toward discover and develop new treatments for cancer and other diseases. Chinese authorities have singled out among applications fighting cancer since it is the leading cause of death in China. An estimated 4.3 million new cancer cases were diagnosed and more than 2.8 million cancer deaths occurred in China in 2015, the latest year for which statistics are available. Both incidence and mortality are growing. The companies said their joint venture will be based in Chengdu, Sichuan Province. Maccura will own 60% of the joint venture while Qiagen will retain the remaining 40%. 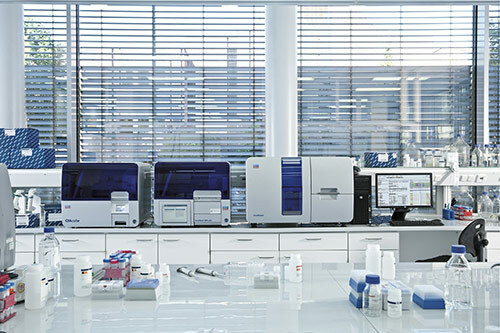 Qiagen added that it will continue operating as a stand-alone company in China, supporting and promoting its full range of other products and services for molecular diagnostics and life science customers. “Maccura has deep expertise in IVD development and regulatory affairs in the Chinese market, as well as an extensive partner and distribution network; Qiagen brings global experience and advanced technology solutions targeting the needs of NGS users,” stated Thierry Bernard, svp and head of Qiagen’s Molecular Diagnostics Business Area.